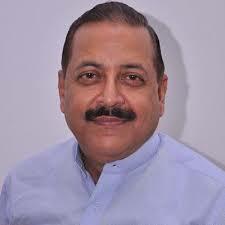 New Delhi-The Union Minister of State Dr Jitendra Singh stated here that in the last four and half years, the government led by Prime Minister Shri Narendra Modi has brought most of the public authorities under the purview of the RTI act, which is in keeping with the commitment to ensure maximum transparency in the working of these institutions. The Department of Personnel and Training, which is the nodal department for the Right to Information and Central Information Commission, has so far successfully covered nearly 2000 public authorities under the RTI Act, he said. Lauding the achievements of the last over four years, Dr Jitendra Singh said, when the government came in, there were very few public authorities under the purview of RTI Act, but a fast – track process was initiated to make the RTI more effective and more inclusive. In addition, Dr Jitendra Singh noted that the filing of RTI has been made much more convenient and easy with the use of latest technology. There is now a portal and an App, as a result of which, any citizen can file an RTI from his mobile phone, at any time of the day or night, and from anywhere. The disposal time of the RTI application received in the Central Information Commission has been drastically reduced, said, Dr Jitendra Singh, and added that the pendency has also considerably reduced in comparison to what it was before 2014.